Welcome to the family, Spencer and Ashton! 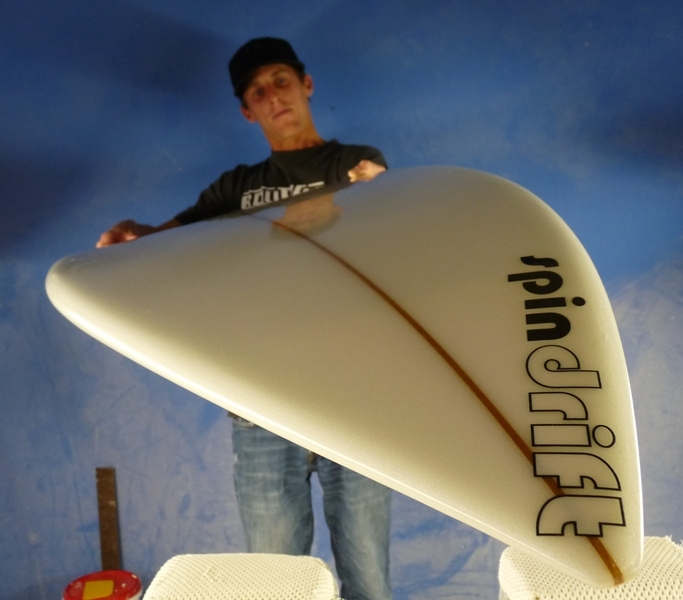 After a few years of making stock and custom kite boards for the guys at ProKitesurf, we’ve started introducing new materials and composite construction into the mix. 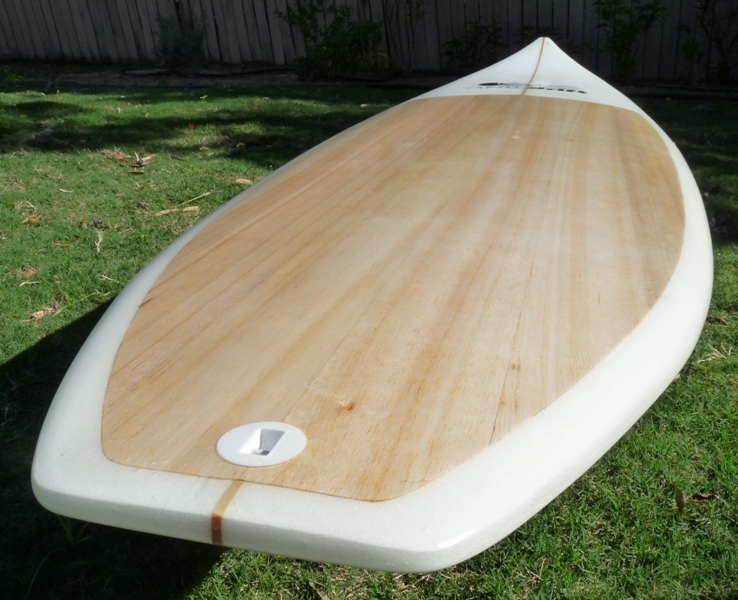 The board below has a 1/8″ thick balsa inlay in the deck to enhance compression resistance.